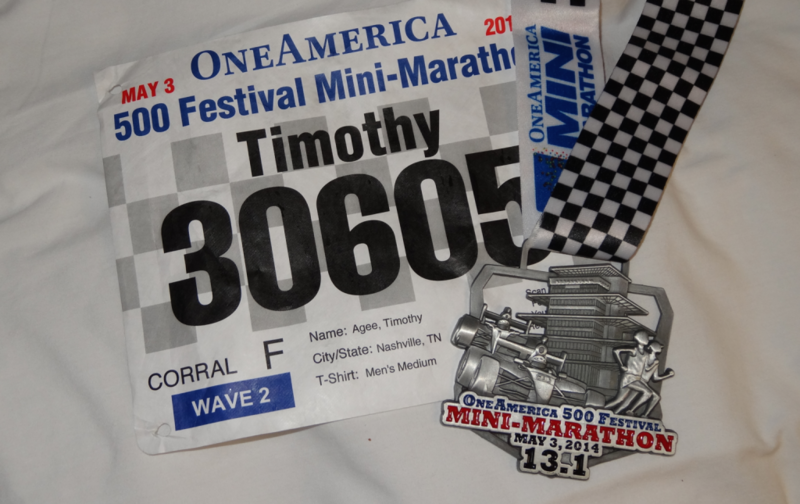 My Run: Overall, the One America 500 Festival Mini-Marathon (“the Mini”) in Indianapolis was my 15th half marathon. 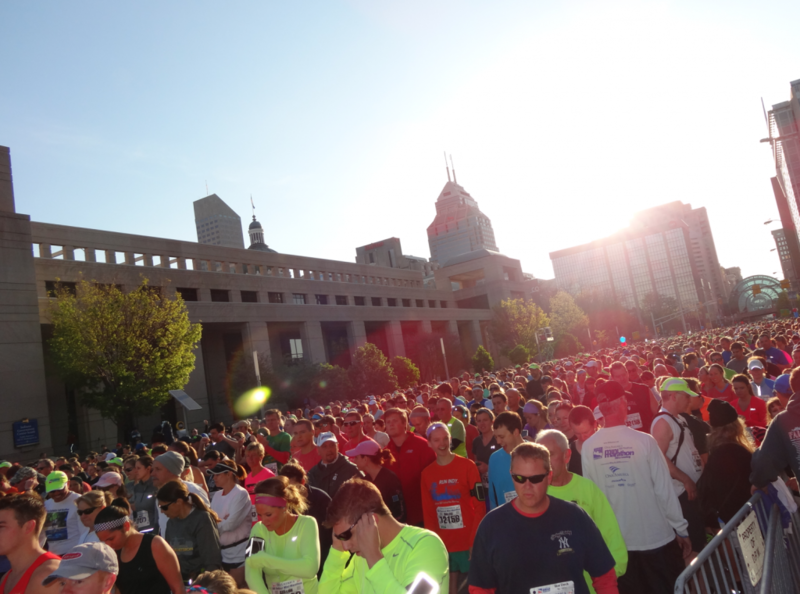 This was the fifth year to run the Mini, which is the largest half marathon and fifth largest road race in the U.S. with 35,000 runners. The Mini is part of the month-long 500 Festival that leads up to the Indianapolis 500. I missed last year’s Mini due to injury, but was able to defer my registration to this year. 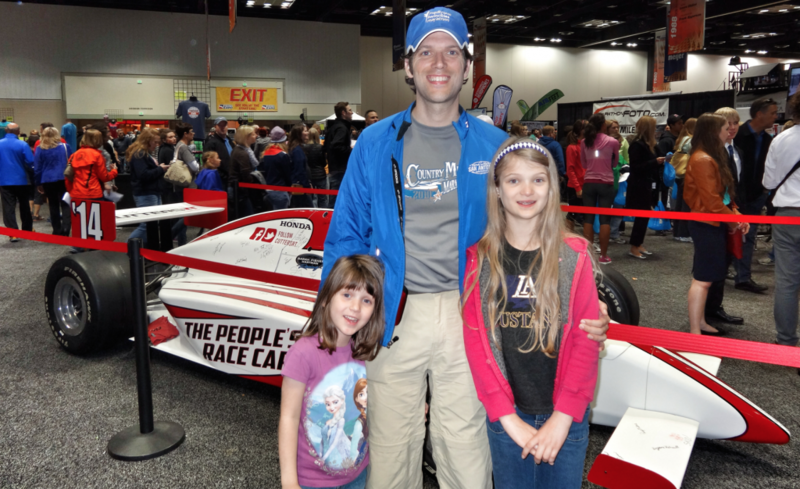 I traveled to Indianapolis with my wife Olivia and my daughters Kate and Sara. With all of my injuries over the past 18 months, I did not have a qualifying race to make it into one of the seeded corrals, and ended up back in corral “F” at the start of Wave 2. This was the first year for waves at the Mini, but I’m not sure that it did much to help congestion. I really missed being up in one of the front corrals (more on this later). 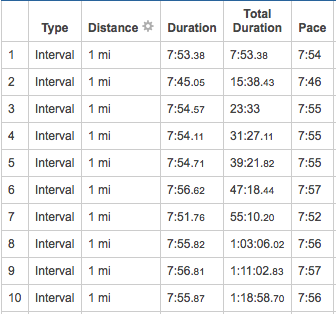 Since I am still slowly working my way back from the long string of injuries, my goals for this race were very moderate. I have to keep everything in perspective these days since the last time I ran the Mini I was in peak fitness, and completed a 1:31 in hot and humid conditions. This was good enough to get the coveted Top 500 medal. 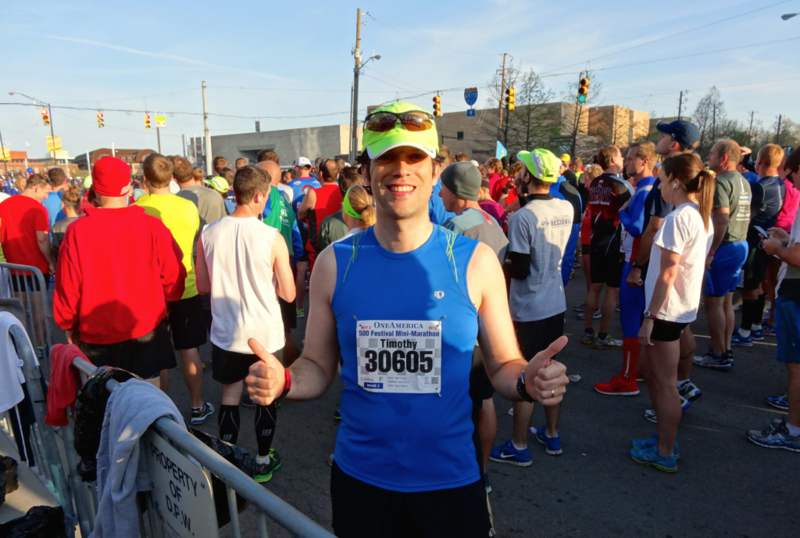 Back to present, I ran a 1:41:47 at the Tom King Half Marathon back in March, and was initially hoping to improve on that time for this year’s Mini. However I had bad sore throat on the night before the race, and woke up race morning with a bad head-cold. I decided to just try and keep all of the miles under 8:00 pace and just see how I felt. The weather ended up being perfect. After some early morning showers, the skies cleared, and the temps were in the low to mid 50s throughout the race. Can’t ask for much better than that. The humidity was up a little at the beginning, but was not much of a factor at all. As the race started I felt like I was holding on for dear life just to keep the pace under 8:00 splits. This continued throughout the first four miles, and I was seriously thinking that I was going to have to slow down to finish the race. Then during mile 5, through the town of Speedway, I started to feel pretty good and got into a great rhythm. I was tempted to pickup the pace a bit, but I kept telling myself to keep it around 7:55 per mile to make sure I had plenty of gas until the end. I knew Olivia and the girls were supposed to be waiting for me on the right-side of the final stretch, and was able to give them a big high-five just as I started into the last “.1” of the race. 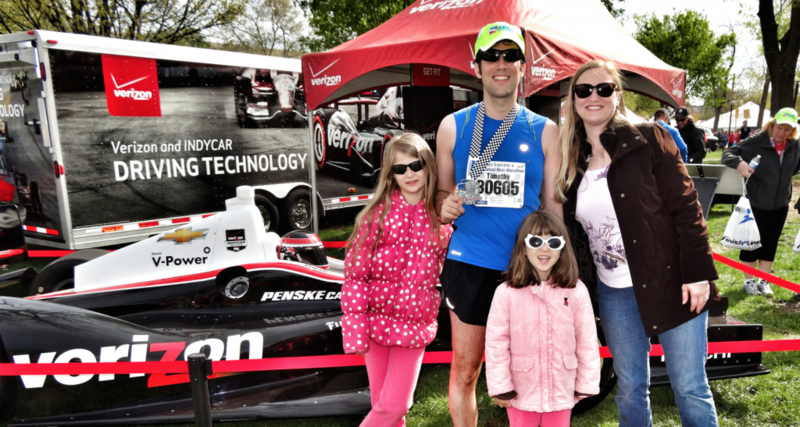 I picked up my pace even faster to cross the finish line in 1:42:16. 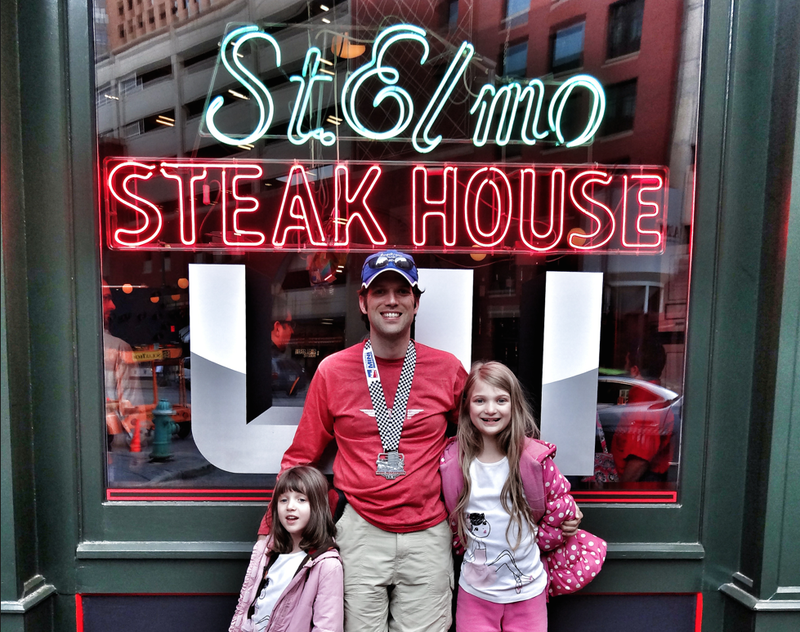 I executed a good plan considering my training had been erratic, and I was feeling crummy. I ran a negative split, which was not the case at Tom King. It was nice to feel good during the last three miles and be able to push the pace a bit. From this point forward, my emphasis turns to getting back into full-marathon shape for the fall and again chasing that ever elusive BQ. Once I turn 40 in August my BQ time drops back to 3:15 (7:26 pace). I’ve got a long way to go, but it is nice to have 2 races back under my belt after all of the injuries. The Race: Overall It is hard to come up with many criticisms of this event. The organization from the expo to the finish area is impeccable. The course is flat and very unique (see more below). All Mini participants received an long-sleeve technical t-shirt, and a technical running hat (both were much better than prior years). The finisher’s medal for 2014 is a really cool design that incorporates an Indy car with elements of the Mini and speedway. The mile markers were elevated, making them easy to see, and all included split times. The finish area is the best I’ve ever seen with regard to congestion. There is plenty of room to keep moving, and the volunteers immediately give you a bottle of water after finishing. After receiving your medal, all finishers are given a plastic grocery bag for all of the post-race food (great touch). They had bananas, fruit cups, cookies, chocolate milk, pretzels, Clif Bars, and Gatorade. Also the post race picture area is well laid out, and does not cause undue congestion. The bag check location was clearly marked at the race start and finish and there are LOTS of port-a-potties. The post-race party is located in a park just outside the finish area. While there is lots of food at the party, it all costs money, even for finishers. Would be nice to see a few more substantial food options for the runners that are included with the race. As I mentioned above, this was the first year they incorporated a wave start in an attempt to ease congestion. For the last couple of years I was in a seeded corral, so congestion was not a big issue. This year, it was pain from the first step all the way to the last. This was especially true through the aid stations and on the speedway where everyone is trying to run as close to the inside as possible. Don’t thing the wave start helped a whole lot here. The course is FLAT. There is one very minor incline during mile 2, and then a short, sharp ramp-like incline into the infield of the speedway. Other than that…Pancake flat. Crowd support is pretty light, except through the town of Speedway and the final mile where there are lots of spectators, and even stands at the finish. We stayed an extra night, and after Sunday morning worship, went to the Indianapolis Zoo before heading home. 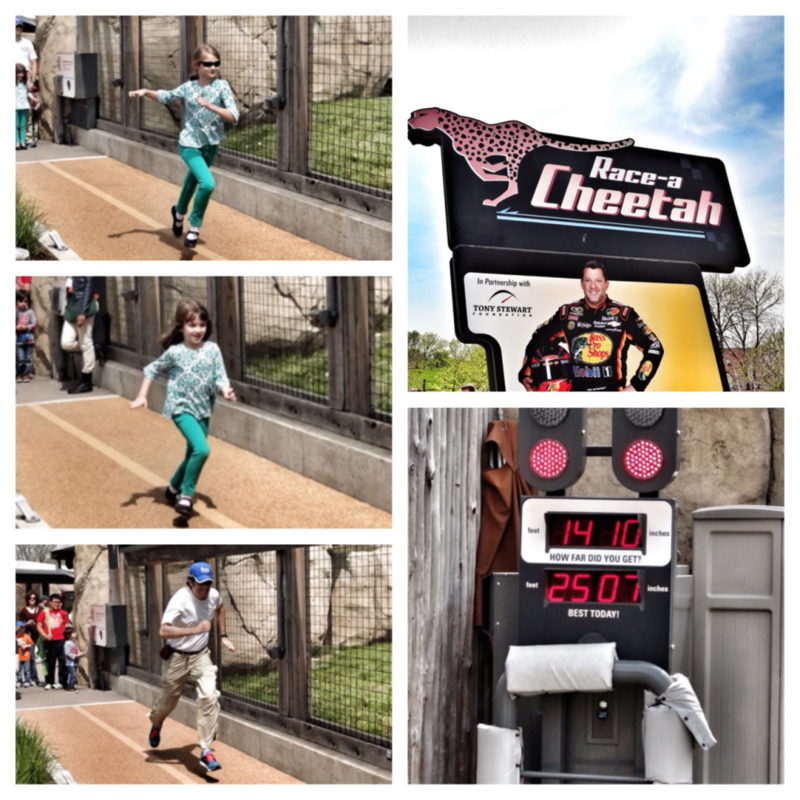 The highlight for me was “racing a cheetah” with Kate and Sara. The idea is to see how far you can run before a cheetah would have made it 70ft. Sara made it just over 4ft. Kate made it just over 8ft. I made it to 14ft 10in….Humbling. 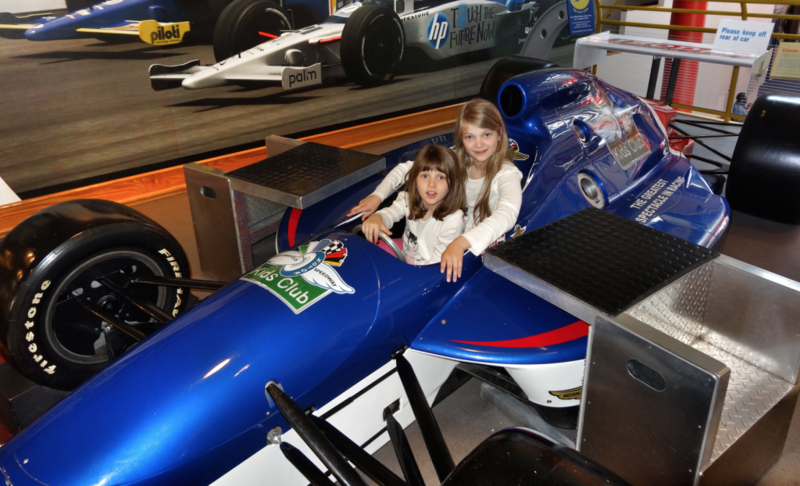 Apparently the fastest person on earth would only make it to 32ft…..Amazing! Turned out to be a FANTASTIC weekend trip for our family!